When I first took the keys for the Ducati Multistrada Enduro, I proudly (and naively) claimed that I’d have a go at recreating Ducati’s promotional Enduro video, if you've not seen it, you can check it out on the link below. The idea is to see what’s attainable on the big Multi for an off-road novice. But before I do, I’ll need a lot of training. So I’ve booked onto Black Desert Training in Wales. I’ll be using the training day to get me up to scratch before heading out to Italy later in the year to take part in Ducati’s off-road riding experience. So my first step is to pick a fresh set of rubber that’s up to the task. 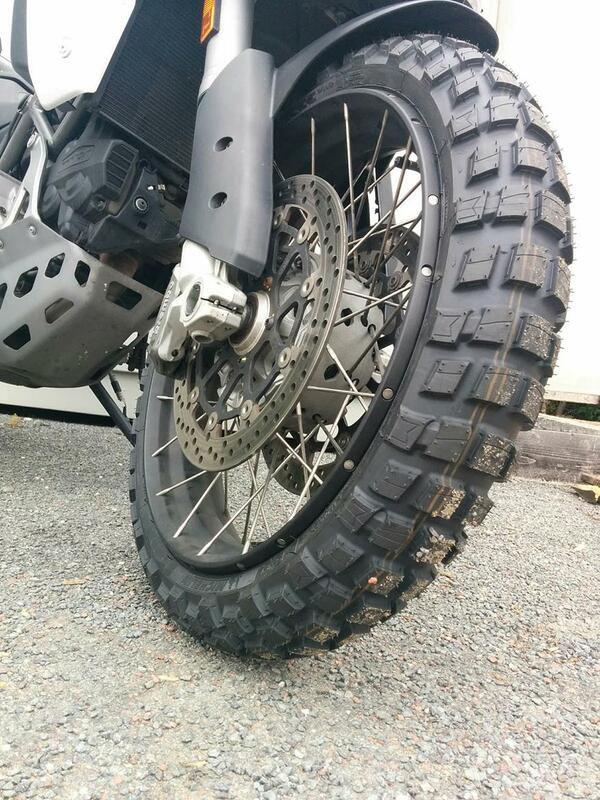 I’ve opted for Michelin’s new dual-purpose Anakee Wild tyres. It’s amazing what difference a fresh pair of black circles does for the look of a bike, transforming the Enduro into a real adventure-styled beast. But it’s not all about looks. I’ve chosen the Wilds as Michelin reckon they’re especially long lasting, comfortable and provide an ‘exceptional riding experience’. As I’ll be covering 2000 miles on the Italy trip, long days on the rough stuff and a weekly commute leading up to it, I’m really hoping they live up to the task, and I’m really hoping I do too!